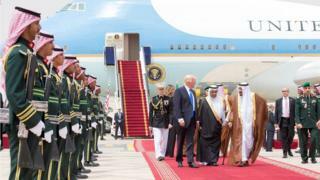 Has it really been less than 18 months since Air Force One touched down in Riyadh to a red carpet welcome? When President Trump chose Saudi Arabia for his first overseas presidential visit in May last year most Saudis were delighted. They hadn't much cared for his predecessor, Barack Obama. He was never that interested in the Middle East, they reckoned, and his legacy nuclear deal with Iran was a bad one in their eyes. But Donald Trump was a man they could do business with. He lifted the Obama-era curbs on weapons sales for the war in Yemen, he refrained from lecturing them on human rights and he seemed happy for his son-in-law Jared Kushner to forge an exceptionally close working relationship with Saudi Arabia's all powerful Crown Prince Mohammed Bin Salman. A return visit by MBS as he is known, to the White House, the Pentagon and Hollywood ensued. MBS was similarly welcomed in London, despite anti-war protests that his prosecution of the conflict in Yemen was fuelling a humanitarian tragedy there. At home in Saudi Arabia, Western diplomats hailed MBS's modernising reforms as the long overdue breath of fresh air the country needed. He lifted the ban on women driving, reintroduced public entertainment and curbed the power of the unpopular religious police. At the same time he announced staggeringly ambitious plans to wean the country off its dependence on oil income by building a $500 billion futuristic city in the desert. Saudi Arabia under MBS was going places and this time last year the world beat a path to his door, flocking to attend his inaugural Future Investment Initiative in Riyadh. A lot has changed. The warning signs that MBS may not be quite the liberal reformer the West had hoped for came when he arbitrarily locked up dozens of princes and business figures last year in a luxury hotel, accusing them of corruption. He briefly detained Lebanon's Prime Minister Saad Hariri, allegedly forcing him to resign. He also ordered the arrest of anyone who dared to question his reform agenda, even with just a simple tweet. 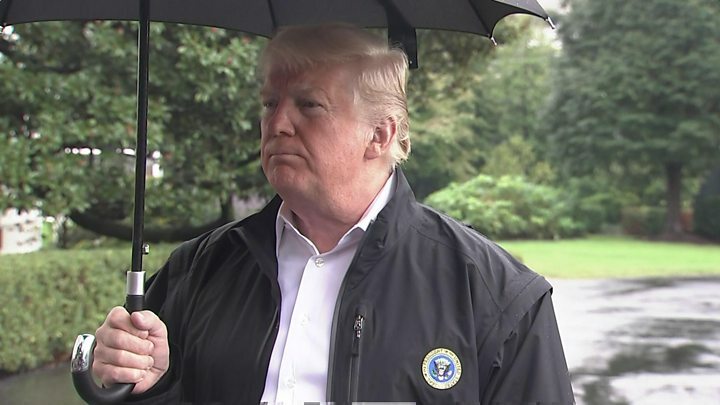 But it was the deeply suspicious disappearance inside the Saudi consulate on 2 October of his most prominent critic, Jamal Khashoggi, that has caused even his close ally Donald Trump to talk of "severe punishment" if Saudi government guilt is proven. We can retaliate in kind, came the Saudi response on Sunday, reminding the world of their decisive role in the oil market. Encouraged by the state-controlled media, many Saudis have rallied round their leadership. There is even a popular rumour that what happened in Istanbul is all a plot by Qatar and Turkey to discredit the blameless Saudi kingdom. But privately, others are now questioning whether the 33-year old prince, the man once hailed as a visionary saviour of Saudi Arabia, has gone too far. He has pitched his country into a costly and seemingly unwinnable war in Yemen. He is embroiled in a damaging dispute with neighbouring Qatar, he has quarrelled with Canada over human rights and he has locked up dozens for peaceful protest while alienating many in royal and business circles. More conservative Saudis may well be hankering for quieter times.